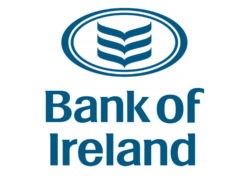 Bank of Ireland this morning told a Dáil Committee that it is offering people whose mortgages are in arrears the option to restructure the loan. It said that between 400 and 500 customers per week are being offered this choice. The bank’s two public interest directors – Joe Walsh and Tom Considine – said 700 staff across the group were now involved the management of mortgage arrears. He said that 16,000 home loans had been restructured and over 80% of these home loans are now meeting the new repayment terms. Mr Considine said peak losses at the bank were not reached until 2010, with an underlying €3.5 billion loss. He said the bank was hoping to see the end of the loss-making period in 2014. “Bank of Ireland has mobilised very significantly around the management of mortgage arrears,” Mr Walsh told the committee on finance, public expenditure and reform.